Parenting a child with any disability can be challenging. It is hard to know what it feels like to live with a disability unless you have walked in the shoes of a disabled person. Spinal muscular atrophy (SMA) is one such disability that can affect all aspects of daily life. It mostly affects babies and children, and more rarely adults. People with this disability find it very difficult to use their muscles. Remember, every child or person with SMA will have a different experience. If your child is also suffering from the same disorder, then he will not only have a difficult time around but also at the risk of several complications. Do you want to know about the natural remedies to manage his symptoms? If so, this article is for you. Staying well informed about this health condition can help you give your child a better and healthy life. Keep on reading to learn more about the SMA, its cause and herbal remedies to manage it in a natural way. 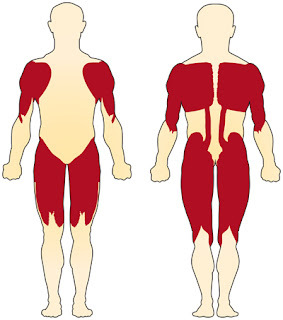 It is a genetic disorder that impairs a person's ability to control their muscle movements. Is your child suffering from this genetic condition because of you? Well, it is a disease passed down through families, your child may have two copies of a broken gene from each of you and your partner. Did you know that muscles move on commands from the brain? It is our brain that sends signals to different body parts to control the muscle movements. But in SMA affected child, there is a breakdown of the nerve cells in the brain and spinal cord due to which the brain stops sending signals. What will happen next? If our brain stops sending signals, we will be unable to control muscle movements. As a result, affected child's muscles become weak and get shrink. He can have trouble controlling head movement and will find it difficult to sit or walk without help. He may even find difficulty swallowing and breathing. Every child with this disorder has a gene mutation but the symptoms and progression of disease vary from person to person. Because of this, the disorder is broken down to following 4 types of SMA. It is the most severe and common type of SMA. Babies with this condition start showing symptoms such as a weak cry, inability to raise head without support, weak and floppy arms and legs, trouble moving, swallowing and breathing in the first 6 months after birth. Babies with this condition typically have the lowest level of functioning. This condition affects child's legs more than his arms. The symptoms usually appear in the baby of the ages between 7 to 18 months old. Symptoms include inability to stand up on their own, tremors in fingers and hands, curved spine and weak breathing muscles. People with this condition can stand or walk on their own but they may lose the ability to walk or stand when they get older. This condition is usually diagnosed by age 3. The symptoms such as sideways curvature of the spine, difficulty getting up from a seated position or running and balancing problems begin after 18 months of age. This condition is also known as adult-onset SMA as the symptoms usually begin in early adulthood usually after age 35. A person with this condition may experience weakness in hands and feet, difficulty walking and shaking muscles. Ayurveda is a comprehensive system of natural health care that addresses all aspects of life including brain, neurological and muscular health. Ayurveda has a fundamental concept in tradition- Doshas. What are they? They are 3 (vata, pitta and kapha doshas) energetic forces of nature which when out of balance can affect our health. Ayurveda focuses on balancing these doshas of the body while maintaining an overall good health. 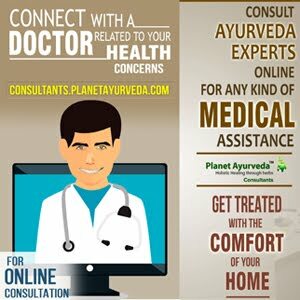 Is it possible to manage SMA with Ayurveda? Well, it can help deal with the symptoms of this disorder while supporting healthy functioning of the body systems. Which Ayurvedic formulations can prove beneficial for people with SMA? Scroll down to learn more about these formulations! Planet Ayurveda has 5 amazing herbal formulations to help people with SMA live a better life. All products are made using 100 % pure and standardized extract and are free from additives, preservatives and other chemicals. Regular consumption of the following combination of dietary supplements can prove beneficial for people with SMA. It is an extraordinary dietary supplement packed with a standardized extract of a brain booster, Brahmi. This herb is shown to have compounds that appear to affect certain neurotransmitters in the brain that can help improve mental functions. This supplement is an amazing one to support healthy functioning of the brain. Dosage : 1-2 Capsules twice daily. It is enriched with a combination of two herbs that make this product act as a destroyer of weakness. This herbal supplement is helpful in maintaining healthy functioning of the nervous system. Not only this, it is helpful in boosting immunity as well to fight against infections. It is another powerful herbal supplement from the house of Planet Ayurveda to manage symptoms of SMA. It can provide strength to your arms, legs, muscles and body, and help deal with symptoms caused due to weakness. It is an amazing formulation made with a unique blend of 5 herbs to support your overall good health. It is an excellent one to boost your immune functions. This product is made using a blend of 11 wonderful herbs that work together to provide nourishment to your brain to work quicker and better. It is an amazing brain tonic that can provide strength to your nerve cells and help rejuvenate the nervous system. Don't you want to give these natural formulations a try? 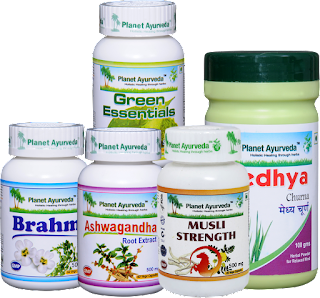 Try once and start living better with Planet Ayurveda!